We are committed to helping our customers with their credit approval needs. Good Credit, Bad Credit, or NO Credit, we are here to help. Harold Wilde started the Wilde Automotive Family when he returned home from his duty as a pilot during World War 2. Settling down and opening a used car dealership was his first step in what would be an illustrious career as a businessman and community leader. The family still remains in control of Harold’s legacy and continues to practice the principles that he preached. For over seventy years the Wilde Family has continued to provide excellent value on New and Used Cars in Wisconsin dealerships. The communities of Madison, West Allis, and Waukesha know and love their local Wilde dealerships. Search. Find. Drive. Buy. It's so Easy! Join the Thousands of Happy Wilde Automotive customers and see why they love Wilde so much! Test drive your favorites. Quickly. Safely. Easily. 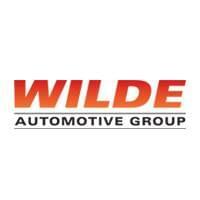 Locally owned and operated, Wilde is Wisconsin's trusted name in automotive.